Thank you hopefully Biography Biodata and Profile Surjopranoto Indonesia one of the heroes and what his services to the nation nahhh to know more about him please read the profile below may be useful and little encouragement of high sense of nationalism to the nation is thank you for visiting. Raden Mas Soerjopranoto (Spelling Soewandi: Suryopranoto) (born in Jogjakarta, January 11, 1871 - died in Tjimahi, October 15, 1959 at the age of 88 years) is one of the National Hero of Indonesia inaugurated as a national hero by the 3rd President of Indonesia, Soekarno , on 30 November 1959 (Decree of the President of the Republic of Indonesia No.. 310 of 1959, dated 30 November 1959).He was buried in Kotagede, Yogyakarta. Background and Education SurjopranotoSoerjopranoto, with the first name Alexander, the brother Soewardi Soeryaningrat (Ki Hajar Dewantara). Genealogically, Soerjopranoto is a nobleman. He is the eldest son of Prince Kanjeng Aryo (KPA) Suryaningrat, where the father alone was the eldest son of Paku Alam III. This means Suryopranoto is the first son of a crown prince. However, the right to the throne of the father to be canceled because he had eye disease causing blindness. Iskandar, as the son of nobles, including indigenous groups whose position "equated" with the Europeans. With the status that he could get in Europe or the Lower School Europeesche Lagere School (ELS). After graduating from ELS, Suryopranoto take Ambtenaren Klein Cursus or Low Employee Course, which is roughly equivalent to the Meer Uitgebreid Lager Onderwijs (MULO) is now equivalent to SMP. Graduated from the course, received a civil office Suryopranoto colonial rule in Toeban. He was eventually fired from his job due to slap a white colonial officials. Returning from Toeban, Suryopranoto directly appointed wedono Sentono in Praja Pakualaman with the rank of ensign. The post was about the same as the head of the administrative court. 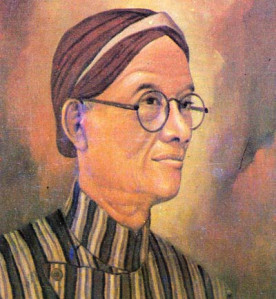 In 1900, Suryopranoto founded an organization called Mardi Kaskaya. Most of the board of this organization is Pakualaman relatives. Mardi Kaskaya some what like a savings and loan cooperatives. At the end of 1901, Suryopranoto establish a club meeting with Sutrohardjo Societeit name. This club is about a very simple library. In this club, people can read a variety of literature, such as newspapers and magazines. With respect to the existence of Mardi Kaskaya, moneylenders space decreases. They often meet with calumny and insults when in and out of the villages. As a result, open conflict is common. Incidents considered by the colonial authorities as a nuisance because of the existence of public tranquility Mardi Kaskaya with Suryopranoto as its founder. Therefore colonial officials "send" Suryopranoto to MLS (Middelbare Landbouw School = School of Agriculture) in Bogor. Struggle SurjopranotoSoerjopranoto princes and other nobles in Praja Paku Alaman, generally never hide the fact of history that in the body of Paku Alaman relatives, especially Sri Paku Alam-II has been flowing into the masses of fresh blood from a farmer in the village Sewon, Bantul, Yogyakarta, named Ronodigdoyo. At the time of the Crown Scramble War III (1747-1755) he participated in the struggle against the Dutch (VOC), and never give exceptional service to Prince Mangkubumi, brother Sultan Pakubuwono II. Because it promised him a good position, if the rebellion succeeded by Prince Mangkubumi victory.But after the war ended and the Prince Mangkubumi acquire western part of the Mataram kingdom after Gijanti Agreement (1755), and he ascended the throne to become the lane to-I, Sri Sultan absent his promise, and gave Ronodigdoyo in his capacity as a soldier. Because of pain, then Ronodigdoyo leave the palace without saying goodbye and then set up colleges in the village Sewon. He married a local village girl and then give birth three persons, namely: Prawironoto, Prawirodirdjo, and a daughter, Sedah Mirah (Mirah Betel). as a message to the-I pathway. When the Sultan's first died in 1792, the crown prince ascended the throne soon become lane to-II, and Mirah Sedah appointed empress, queen Kencana Woelan Kanjeng title (or Kencana Woengoe). Of the empress from the masses was born three children, all daughters, and it turns out all three diperistri by nobles who had an important position in the history of, and reduce the nation's fighters. The First is Kanjeng Ayoe who later became Queen consort of Sri Paku Alam-II to be the origin and descent Aoejopranoto national heroes, and Ki Hajar Dewantara. Second, the diperistri Kanjeng Queen by the Duke Anom Madison and then a third, Queen Kanjeng Timoer, which deperistri by Patih Sedolawe and lower Gondo koesoemo, which is quite well known in Diponogoro War (1825-1830). Origin of Family SurjopranotoSoerjopranoto born in Yogyakarta on January 11, 1871 as the eldest son of Prince Haryo Soerjaningrat Kanjeng eldest son of Sri Paku Alam III (which can not be Paku Alam IV for the blind). Pakualaman is Kulonprogo area. His wife was named Djauharin Insjiah deceased daughter Kyai pilgrimage Abdussakur, headman (Landraad) Islam, from Karanganyar Banyumas, died first in 1951 at the age of 67. Besides Soerjopranoto gets schooled up bringing in the home of manners. And according to his custom heirloom nobility required to understand and comprehend art of dance, kerawitan (gamelan), literary arts (making rhymes, poems, songs Java). Towards the start Soerjopranoto adults learn about the constitution, the economy, society, history, deity, and so forth. His library includes about 3500 books on various sciences. He then managed to get a diploma Klein Ambtenaar. Because deemed too "lastig" (making a scene) in Yogyakarta society Resident Assistant for the effort he "dumped" into Tuban) Gresik) as an employee in Controleurs-Kantoor. Here he defends his employees friend to slap his boss (the Netherlands). He soon quit and returned to Yogyakarta. To avoid legal action Dutch government on himself, his uncle Prince Sasraningrat which made him the rank of deputy district officer Gusti Sentana, with the title "Flag" on Praja Paku Alaman. Because it is still considered a "Bully", Assistant Resident "throw" him to Bogor by reason schooled at the School of Agriculture (Eropeesch Afdeling) by direct appointment letter signed by the Governor-General as a "special permit." Here he stayed home Dutchman named Van Hinllopen Laberton who embrace the teachings of Theosophy who hate the occupation and the right of peoples differences. Soerjopranoto feel find a friend, fellow teachers and parents as well. In 1907 he managed to get a diploma Landbouwkundige and Landbouw-leraar. Besides, he adept in martial arts: the Kuntau and Toya from a Chinese from Canton. At this time when his father commissioned him to take care of his sister Suwardi Suryaningrat (Ki Hajar Dewantara) entered medical school in Jakarta Stovia he left a letter to his sister with a call on behalf of young people Bogor + students to the student Stovia to establish associations "Pirukunan Jawi" which may considered as voorloper (precursor) of the idea of ​​establishing "Boedi Oetomo". But the invitation was to fail, because it does not receive a response. In 1908 to 1914 he was employed as a clerk Dutch government and served as Head of the Department of Agriculture (Landbouw Consulent) for Wonosobo, Dieng, Batus with the task of overseeing the tobacco resident Kejajar Wonosobo Garung then transferred to a job because they have also doubled the lead school agriculture. Since there are instances Parakan (Waterford) in 1914, in which an assistant district officer, a member of the SI, was fired from his job because of membership, then he is a defender of justice by violent protests tore-GED diploma and threw himself with key bundles before Dutch resident quit his superiors while cash. Then he vowed never again to work on the Dutch government for ever, and gives his thoughts on the whole labor and political movements struggle against colonialism.